On a hot summer day everyone likes to swim in the pool. Swimming just got a lot more interesting with this inflatable raft. The Water Sports Inflatable Pizza Slice Swimming Pool Float can help a person have fun in the pool. This float is in the shape of a slice of pizza and is 72 inches is size which is great for an adult to lay out on and catch some rays from the sun. This float is also great for children to play on. The Inflatable Pizza Slice looks exactly like the crust of a pizza. The top of the float is brown just like the crust of a pizza. This is a great area where a person can lay back and rest their head. The rest of the float is yellow to resemble the cheese that is found on pizza. There are even pizza topping that are stenciled on this float. There are circle designed that are shaped to look like pepperoni. There are even decorations that are designed to look like slices of green peppers and mushrooms. There is even a spot where a person can put a drink to sip on as they float around. This float can be used alone or a number of people can get together with these pizza slices. When eight people get together they can turn their pizza slice float into something interesting. These people can float together and turn their slices into an entire pizza. They can float around in the water in the shape of a pizza pie. 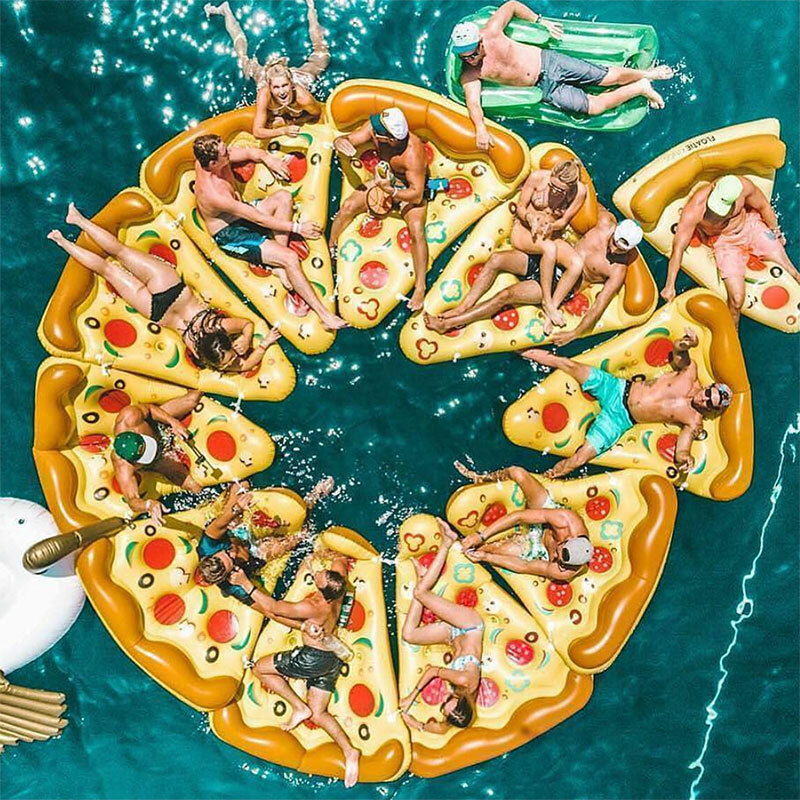 You need a large pool but if you have the space, or if you are going away with a group of friends then you can all have your own float and join together to complete the whole pizza. 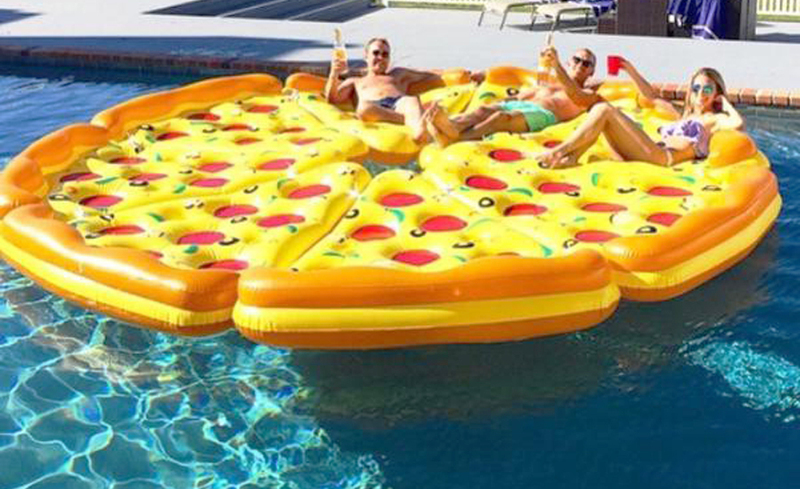 This pizza slice inflatable float allows a person to enjoy the water and have a good laugh as they are floating around. They can float as an individual slice or get together with some of their friends to make an entire pizza. With celebrities going crazy for the inflatable pool swan is it turn of the pizza this year?